Osaka’s business district of Kitahama and the local government seat on Nakanoshima, an island sandwiched between the Dojima and Tosabori Rivers. Osaka has already been thoroughly modernized. 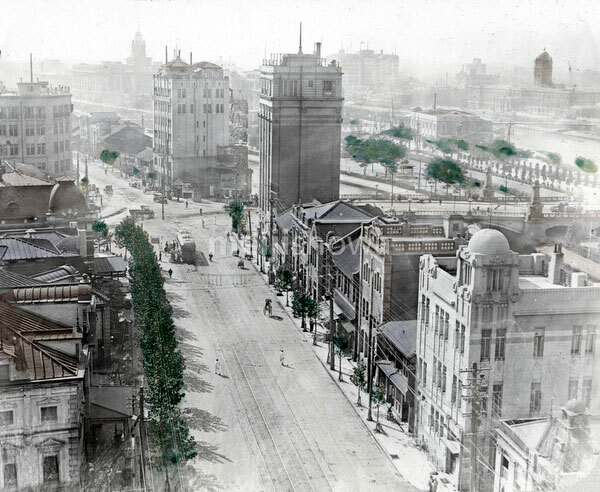 The tall structure in the middle of the image is the Kitahama Building (北浜ビルジング).